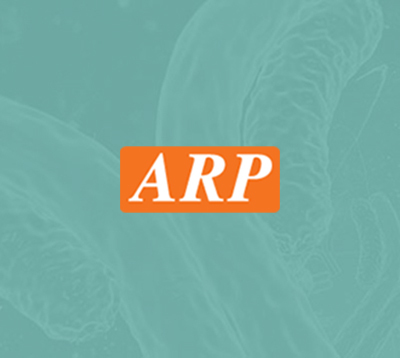 HBZ, 1-142aa, Human, Recombinant, 01-1813 | ARP American Research Products, Inc.
Hemoglobin subunit zeta (HBZ) is belongs to the globin family. Zeta-globin is alpha-like hemoglobin. The HBZ polypeptide is synthesized in the yolk sac of the early embryo, while alpha-globin is produced throughout fetal and adult life. The HBZ gene includes five functional genes and two pseudogenes. The order of genes is: 5' - zeta - pseudozeta - mu - pseudoalpha-1 - alpha-2 -alpha-1 - theta1 - 3'. Recombinant human HBZ fused to His-tag at C-terminus, was expressed in E.coli and purified by using conventional chromatography techniques. Zeta-globin, HBAZ, HBZ2, Hemoglobin subunit zeta HBZ 2, Hemoglobin zeta, Hemoglobin zeta chain, Zeta globin. 78.4 kDa (677aa), confirmed by MALDI-TOF. Lau ET., et al. (2001) Prenat. Diagn. 21(7): 529-39. Kidd RD., et al. (2001) Biochemistry. 40(51):15669-75.